Department of Art | Visiting Artist Sara Black this Thursday Night! 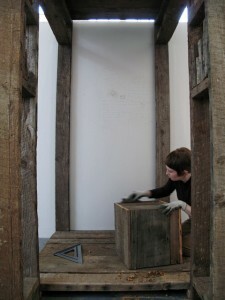 Home » News » Visiting Artist Sara Black this Thursday Night! Visiting Artist Sara Black this Thursday Night! Sara Black will be giving her Visiting Artist lecture in room 249, FSU Fine Arts Building at 7pm this Thursday, March 19th, 2015. Sara Black works broadly as an artist, artist-teacher, arts organizer and curator. She received her MFA from the University of Chicago in 2006 and is currently Assistant Professor of Sculpture at the School of the Art Institute of Chicago. 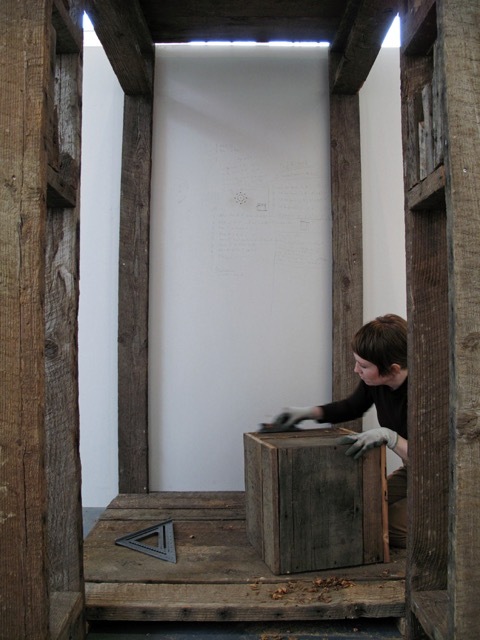 Her work uses conscious processes of carpentry, wood-working, and repair as a time-based method, inherited building materials or other exhausted objects as material, and create works that aim to expose the complex ways in which things and people are suspended in worlds together.